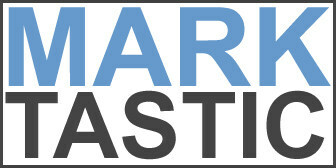 Marktastic » The Show Desktop Button | It's not just Mark, it's Marktastic! Back in the late 90’s, Microsoft rolled out a feature as a part of Windows 98 that I have come to love far and away above all others. It was a simple feature that 85% or more of folks don’t even know exists. If they have seen it, chances are they’ve never used it and don’t know what it does. I am speaking of the “Show Desktop” button. What does this button look like? Below are the icons for the Show Desktop button for Windows XP and Windows Vista, respectively. Where can I find this button? You will find this icon by default on the Quick Launch toolbar. So what does the Show Desktop button do? This is pretty self-explanatory. When you click the Show Desktop button, all your windows are minimized so that you can see your desktop. A second click will restore all your windows. With the help of this button, you can quickly get back to your desktop without having to minimize each window individually. I believe you will use the Show Desktop quite often and like a scrolling mouse, wonder ever how you worked without it. Question: I don’t see the Show Desktop button. Answer: You may not have the Quick Launch toolbar showing. Question: How do I enable my Quick Launch toolbar? Answer: Right click your taskbar (the bar with the start menu on it) -> Choose Toolbars -> Select Quick Launch. Question: At some point, I deleted this icon. How do I get it back? Answer: Please visit Microsoft’s website for instructions. The Move to Office 2007: Where are my toolbars and what’s with the Ribbon?